Looking for relief from cookie-cutter communities? Washington Township on Indy’s northside boasts established neighborhoods, great amenities and great public schools. A home in Washington Township's Ivy Hills neighborhood. 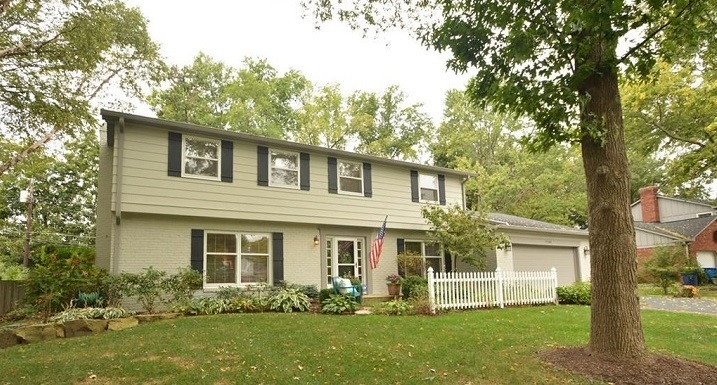 A wide variety of architecture and price points can be found within Washington Township, with the older homes of the aforementioned neighborhoods, as well as homes built in the 1950s-1980s further north. Williams Creek is one standout luxury neighborhood, with traditional and mid-century modern homes reaching upwards of $1 million. Newer construction can be found in the Keystone at the Crossing area, and further west along 86th Street. Located on Indy’s northside, Washington Township contains some of the city’s best shopping, entertainment and restaurants. There’s plenty of outdoor fun, too. Check out the variety of parks, stroll the popular Monon Trail (some of Washington Township’s most sought-after homes back up to it) and canoe the White River. Are looking for an established neighborhood that isn’t cookie-cutter. Want an easy commute to Carmel, downtown, St. Vincent Hospital or Keystone at the Crossing. Don’t want to live in the suburbs but are looking for good public schools. Washington Township is the only district in the state to offer an International Baccalaureate program to every student in every school. Want to be able to walk and bike to local businesses. Want to live in a diverse community.